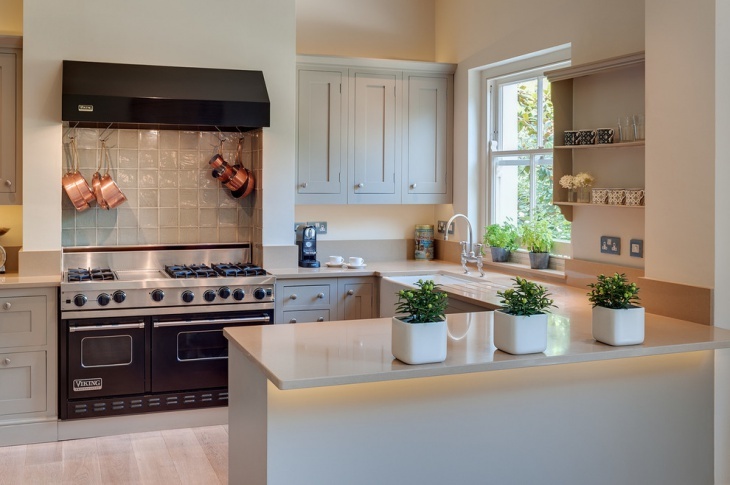 Carrying out all the functions of a kitchen in a small space can certainly get difficult; thus, making use of the space wisely is important. 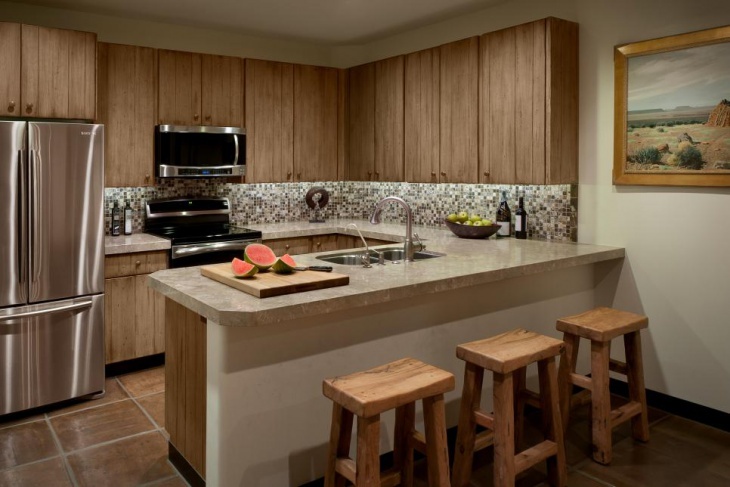 There are several smart, stylish and functional designs that can be adopted for kitchens. 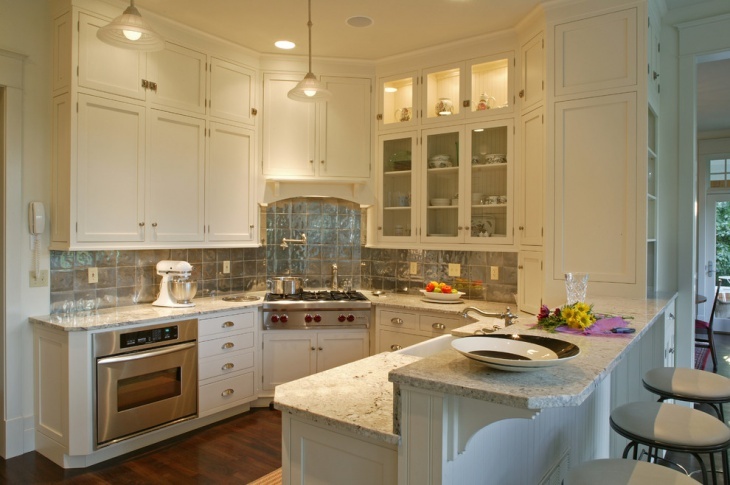 One such design is the U–shaped kitchen design which is highly functional and efficient for the small kitchens. 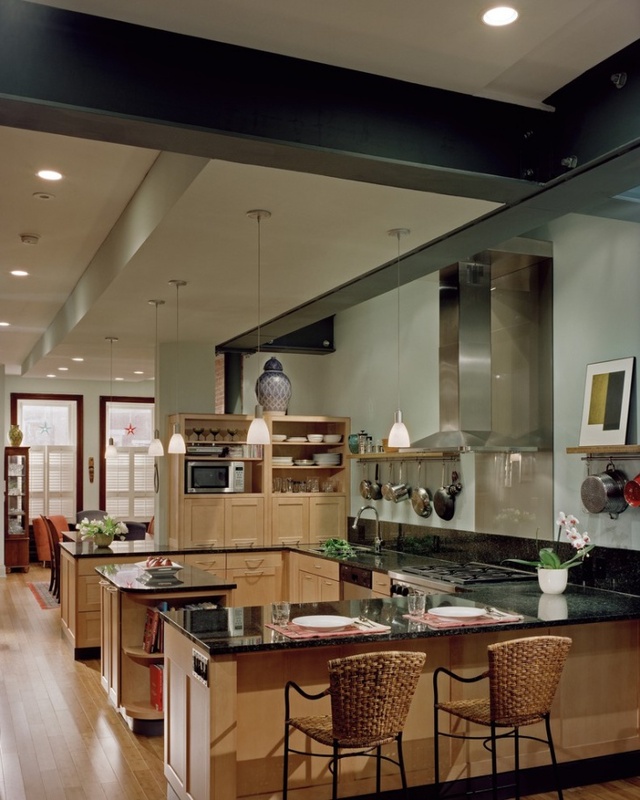 Below is a list of several U-shaped kitchen design ideas. 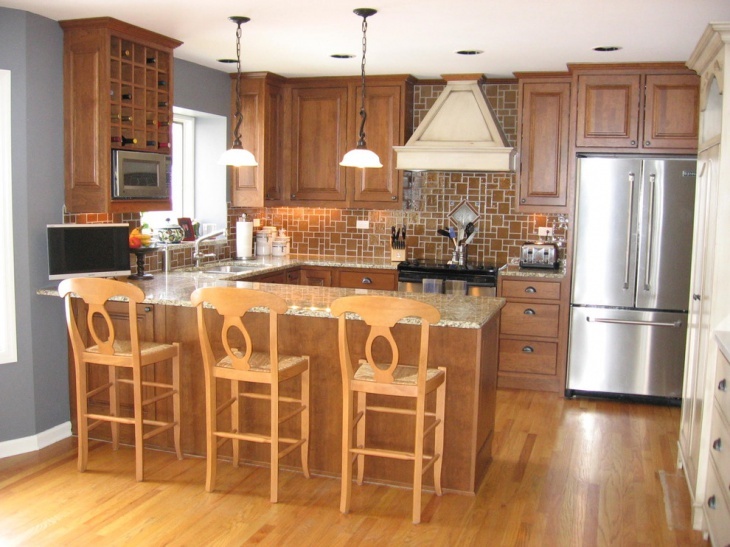 This is a traditional kitchen with a U-shaped design. 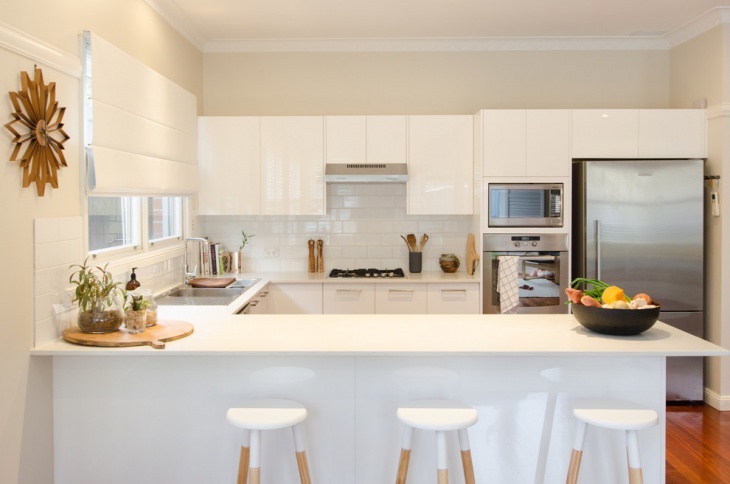 The kitchen has an all white interior and is small; hence, the U-shaped design is perfect. It is functional, efficient and utilizes maximum space. To complement this white kitchen are beige colored cabinets and wall backsplash at the stove which make the kitchen look modern. 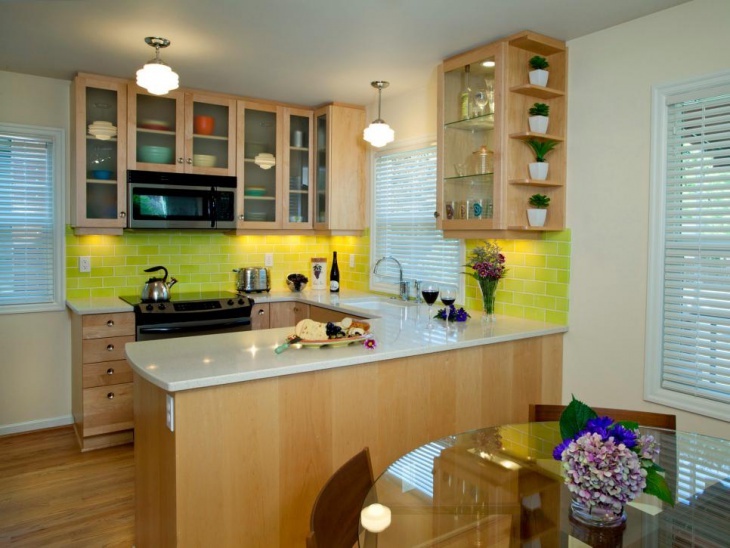 This modern kitchen with the usage of luxurious interiors and décor is a small one and has a U-shaped design. 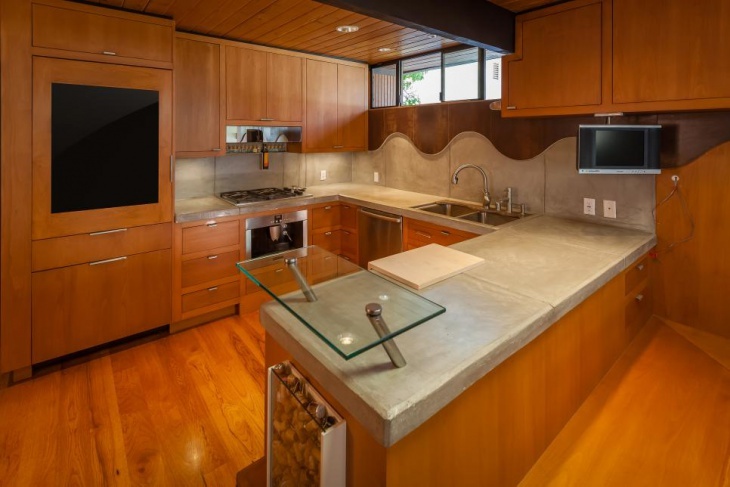 It also features an island with a black granite countertop. 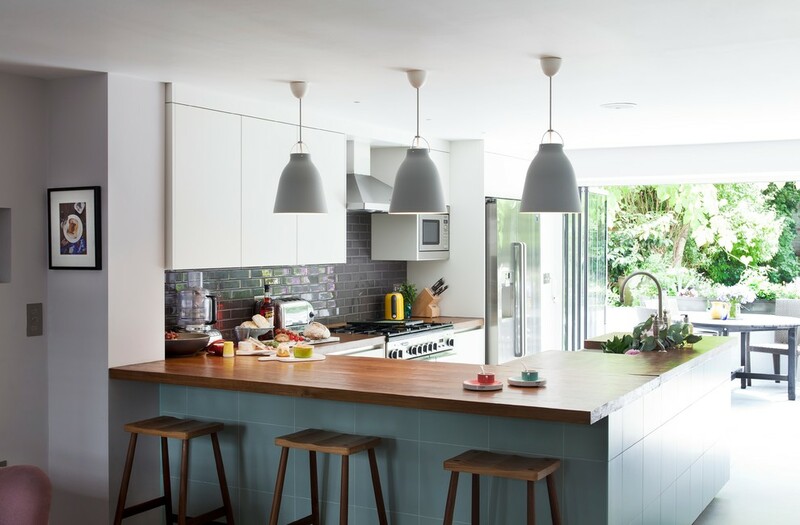 It has hanging pendant lights across the kitchen in several areas. Also, the kitchen has an open pantry. This traditional small kitchen with U-shaped design features all the ancient style décor including wooden cabinetry, flooring, etc. 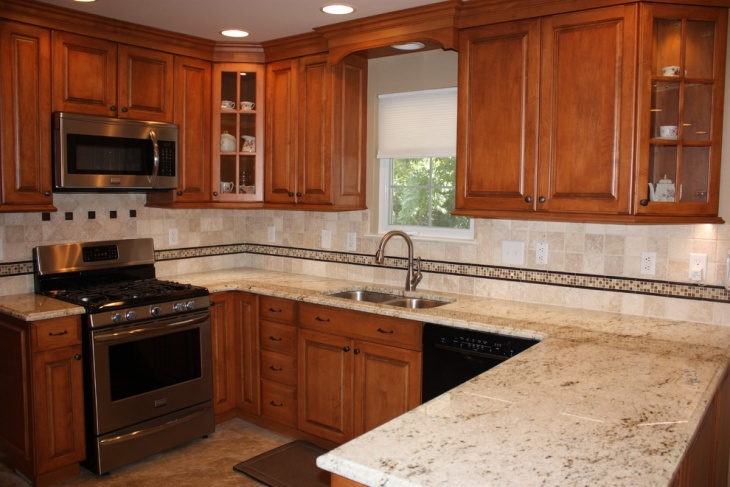 It has a beige color scheme that matches the color of the cabinets. 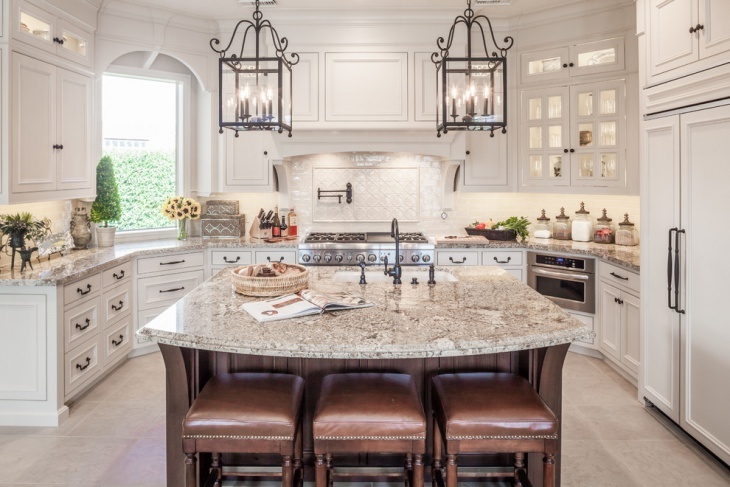 It features traditional style pendant lights and an L-shaped island. 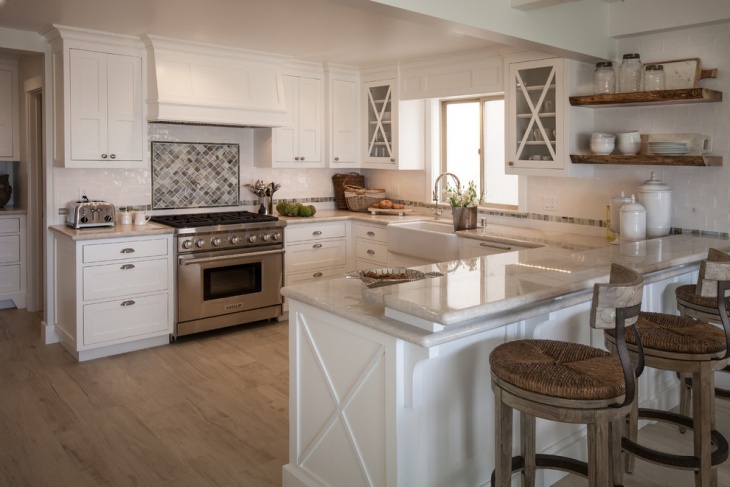 This is a small Mediterranean kitchen in a U-shaped design and has an all white color scheme including the cabinets, countertop, island,etc. 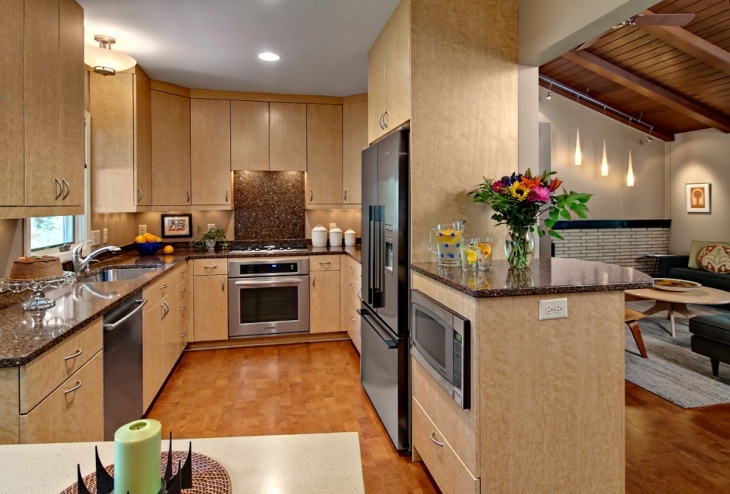 It features a large stainless steel refrigerator and oven with a double bowl sink and flat panel cabinets. 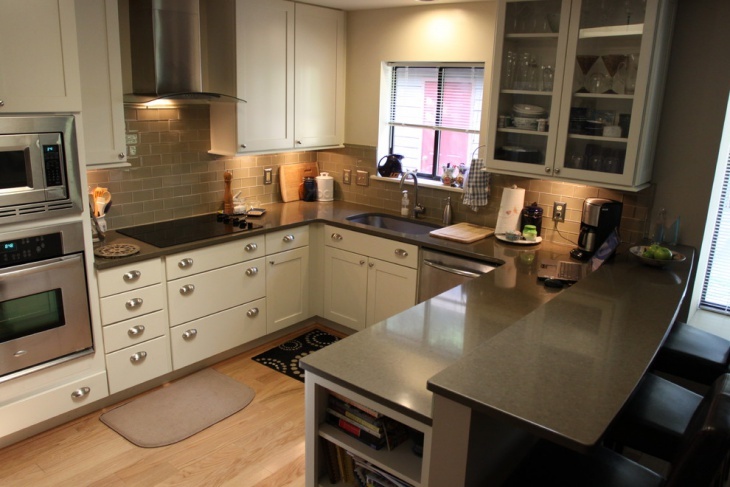 This is a small U-shaped kitchen designed in midcentury style featuring beige colored décor in the kitchen. It is an open concept kitchen design which features flat panel cabinets, LED lights in the ceiling, an under mount sink, and wall ovens. Red is an attractive color and when incorporated in home décor, it makes for a brilliant look. 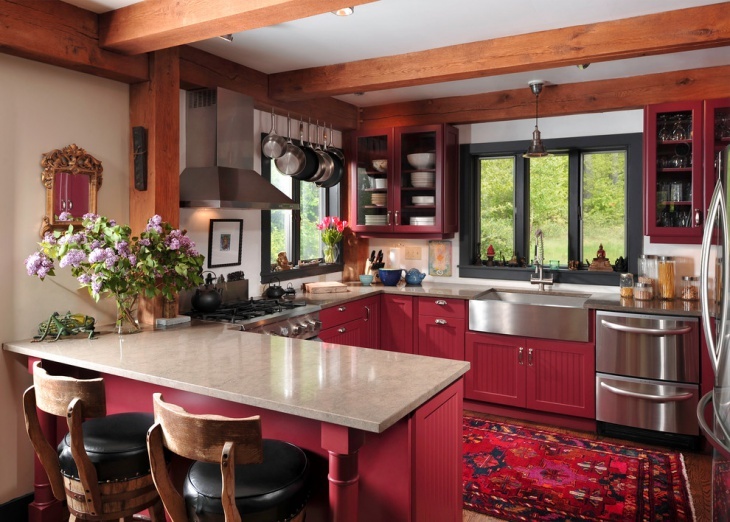 This rustic kitchen has a red theme décor inside with the U-shaped design. Featuring red cabinets, rustic ceiling wooden beams and several other red appliances along with grey, it makes for a warm and natural looking kitchen space. 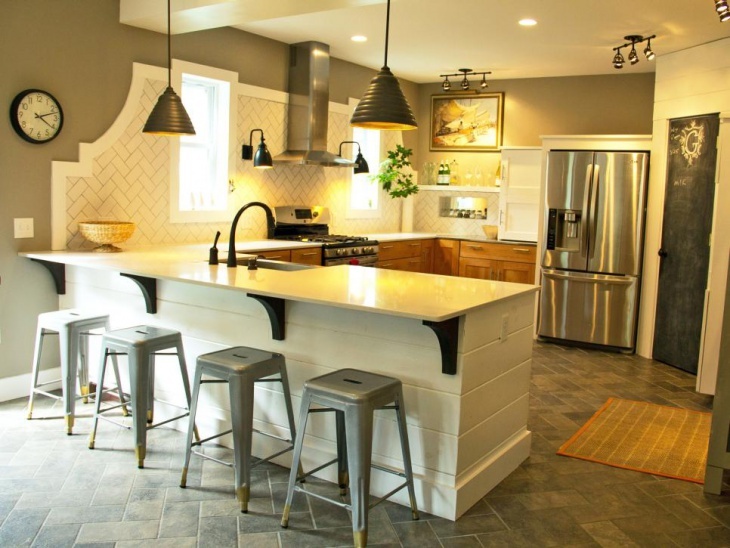 This is a classic eclectic kitchen with a U-shaped design featuring stainless steel countertops with other stainless steel appliances like ovens. It has glass door cabinets on one side where all the crockery has been placed inside. 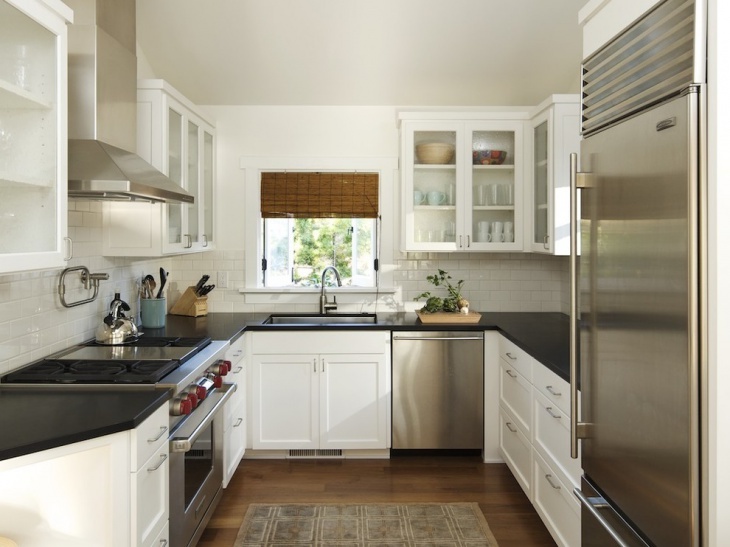 It also features black colored cutting board which has been fixed in the countertop. 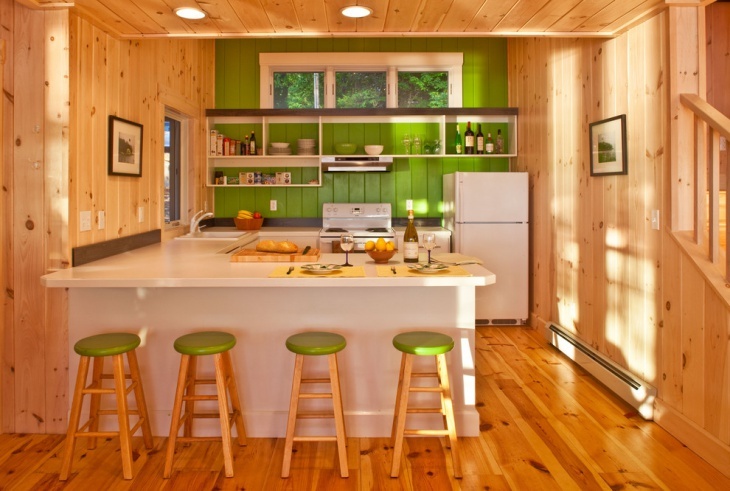 Small U-shaped kitchen designs have been used for long in kitchen spaces that are small and confined. It is a great design to be adapted in confined spaces because it makes use of space in the best way possible. It is also very efficient and functional.